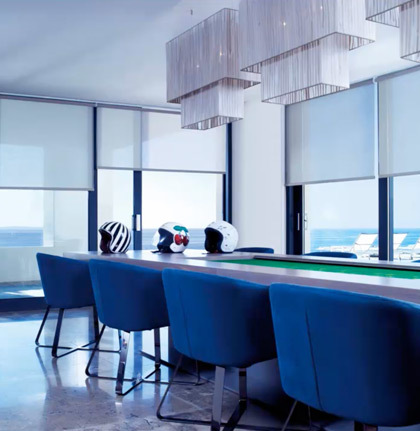 As global supplier of window decoration Coulisse offers an extensive range of blind products ranging from fabrics to materials and from system to accessories fulfilling functional as well as aesthetic requirements. Fashionable designs and innovative solutions create endless possibilities for an individual expression of style and taste. This complete concept for roller binds offers solutions for almost any requirement in the residential as well as the contract market. Coulisse offers an extensive range of plain colors as well as unique designs. Available in Transparent, Blackout, Nature Fabrics & Fabrics. By moving the two fabrics layers the position of the open and closed stripes will change in respect to one another. This way you can create the desired view and privacy as well as the perfect light. 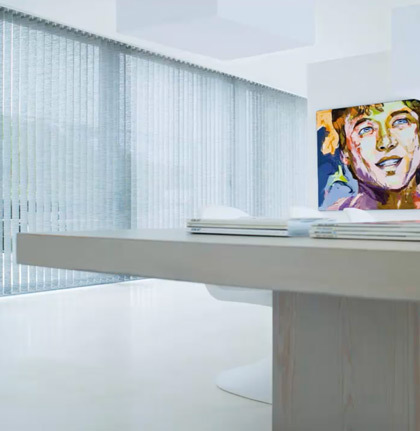 Our Double Roller Blind collection offers a variety of fabrics, ranging from contemporary fashion colors, exclusive varieties with a metallic or matt silky shine to fabric with XL and XXL stripes. Available in a wide collection of fabrics such as luxurious Eco and elegant paper fabrics for a beautiful light. 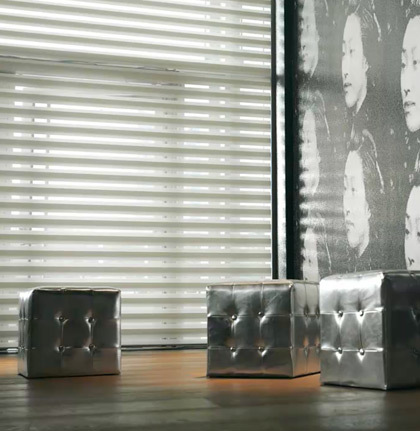 A unique shading system and a wide collection of 20mm & 50mm pleated fabrics for an individual look. 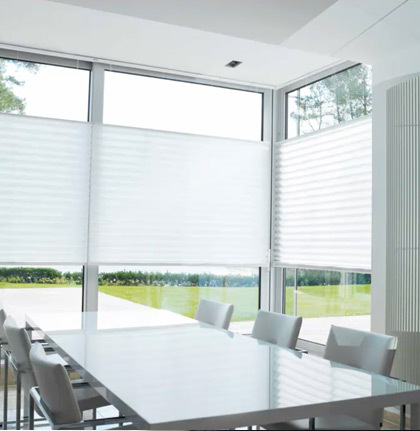 Apart from pure Japanese Paper, the Absolute Pleated Blinds collection offers stylish varieties with delicately embroidered designs and a range of Trevira CS fabrics. A unique pitch cord on the back of the shade makes sure all pleats are equal from top to bottom. The range offers four configuration options including top-down/bottom-up, tensioned and motorized. 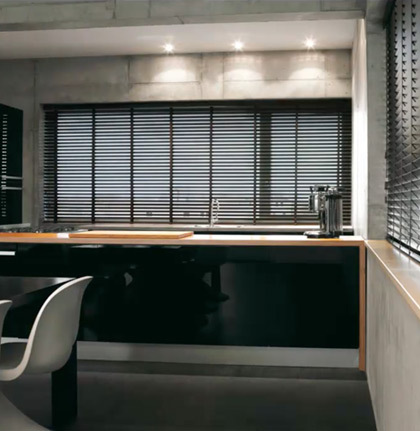 Perfect light control and true luxury for your home. For your personal style you can select from a wide collection of exclusive materials ranging from powerful leather to contemporary bamboo wood and from shiny metallic colors to glossy wood. Accessories such as ladder cords and tapes as well as head rails and bottom bars are available in materials to match. Natural materials beautifully filter the light creating a pure and serene atmosphere. Apart from natural materials such a paper fabrics and wood, our collection for vertical blinds offers plain as well as design fabrics. 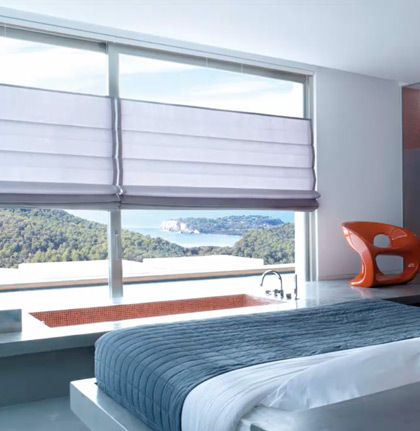 Panel Blinds are a versatile product. They fulfill decorative as well as functional requirements and are flexible in use.